The term visitation and custody are often used interchangeably regarding Raleigh Child Custody law. Visitation typically refers to the custodial schedule of the parent that does not have primary physical custody of the children. Regardless of whether your are the primary custodian or share joint physical custody, you must implement the custodial schedule. There are many kinds of schedules that parties can agree to or may be ordered by the courts, each with their own positive and negative attributes. In addition, the age of the children and distance between residences can also make some custodial schedules better than others. Another aspect with regard to Raleigh custodial schedules is how to share holidays and schedule vacations. 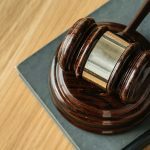 These issues should be specifically addressed in your child custody Order or Agreement so there are no disputes between you and the other party going forward. A detailed custodial schedule will minimize conflict between the parties and give the children the stability and harmony that they deserve. While the parties can agree to any type of arrangement, it is important that there is a “fall back plan” in your Agreement or Order when you cannot agree. An Agreement or Order that only states “the parties will agree…..” is not helpful if there is no way to reach a conclusion when reaching an agreement is not possible. Parties usually either split the actual holiday or alternate the holidays/school breaks on an alternating basis. An example of splitting the holiday would be that the mother would have Christmas Eve at 6 pm until Christmas Day at noon, when Father has the children from that point until 6:00 p.m. on December 26 during even years and the schedule is reversed in odd years. Alternating the entire holiday/school break would be, as an example, the mother would have the children when school ends for Christmas break until the children return to school at the end of school break during even years and father would have this same custodial time during the Christmas break with the children during odd years. One of the main issues in deciding the best holiday arrangement is the amount of travel required to celebrate the holiday with your respective families. If both parties celebrate the holidays with local friends and family, splitting the holiday itself can be a good idea. If you need to travel out of state to see your family for Thanksgiving, as an example, splitting the holiday would not accommodate significant travel. Another issue is when you have holidays that you celebrate that the opposing party does not. You cannot assume the other party will agree to allow you to have custodial time for a holiday not specifically addressed. Some other holidays, such as 4th of July may be significant to your family, such as an annual family reunion, that may need to be specifically addressed. 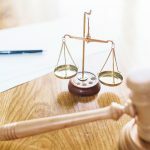 When you are addressing these issues, you must be detailed and thorough to ensure that you do not encounter a problem that the Raleigh Child Custody Order or Agreement cannot address in the event of a disagreement. Again, you may think you two can agree as to how to celebrate your daughter’s birthday, but what happens in future years when more children may be added to the two families, someone moves, or new spouses are part of the process? It is to better have a detailed comprehensive schedule as a backup to address any potential custodial arrangements that you two may find yourselves not agreeing to in the future. Below are some common custodial schedule utilized by parties in Agreement or used by the court system. Keep in mind that not all common schedules fit each family’s needs. Sometimes distance, work schedules or other factors may result in a unique schedule being created. * Schedules such as these sometime provide for the father have dinner nights in the middle of the week every week or every other week. Another scenario is for father to have an overnight custodial visit in the middle of the week when he does not have weekend custodial time. # Typically the transition time is Sundays at 6:00 p.m. if the mother transports the children to school, or it can be considered another overnight for the father and he return the children to school on Monday morning as an example. Pros: This schedule provides for minimal transition; in some cases it is better for the children to be with one parent more if there are parenting concerns or distance/work schedules result in this being the best arrangement for a particular family. Cons: This type of limited custody schedule is not as common as it once was. Unless there are significant issues making more time with each parent impractical, this type of custodial schedule is not strongly favored by the Court. Pros: This schedule provides for minimal transition, with each party having a longer uninterrupted period of time with their children. Cons: While having your children with you for an entire week so sounds great, the next week without them can be difficult. It can also impact the children’s day to day routine, such as if one parent is better at seeing that homework is done on time and done well. It can affect school performance for those weeks the children are with the parent who may not excel in that area. Pros: the timeframe is shorter with regard to not seeing your children compared to the week on/week off schedule, and you have consistent weeknights with your children. When children are active in certain extracurricular activities that you are involved with them, this can be an ideal schedule. Cons: there are more transitions compared the week on/week off schedule and there are times when you will not see your children for a five day period. Pros: the timeframe is shorter with regard to not seeing your children compared to the week on/week off schedule and 2-2-5 schedule. This schedule provides for the most frequent contact with your children when sharing joint physical custody in Raleigh. Cons: there are more transitions compared the week on/week off schedule and the 2-2-5 schedule and the weeknight custodial periods will change each week. How Do I Know Which Schedule is Best for My Raleigh Family? How far apart do you live from the opposing party? Does the distance make frequent transitions not practical?For example, would Dad have to get the children up at 5:00 am if he lives in Raleigh to take the children to their school in Wake Forest? How old are the children?Because very young children (infant to 3 years old) are still developing their long term and short term memory as well as building their bond with each parent, a week on/week off schedule may be too long for such a young child to go without seeing one parent. As children get older, this is less of a problem. Does your work schedule or the opposing party’s work schedule make any of the arrangements unworkable?Parties who work 12-hour shifts, rotating shifts, work 2nd or 3 rd shift, etc may need a more tailored schedule to suit the family’s needs. Parenting skills. Do you have an opposing party who is not capable of ensuring the children’s homework is done or does not see to their hygiene as they should?A schedule where the children are with them for longer periods of time, such as a week on/ week off or 2-2-5 schedule, may not be practical. If you have safety concerns or have a spouse that is habitually late, meeting at a public place, such as a local McDonald’s can be ideal. You can purchase a drink and obtain a date stamped receipt of when you arrived at the custodial transition area. Most McDonald’s have play areas for children, and being in a public area you have potential witnesses in the event of a safety issue arising.It is usually recommended the party with the children come into the restaurant with the children and the party getting the children come in to pick up the children. This makes any potential issues in the parking lot less likely to occur as you can wait until the other party leaves with the children before you leave. When selecting a location, be sure they have business hours that are available during your custodial transition time, as an example using Chic Fil A for custodial transitions on Sundays will not work because they are closed. If you feel that a public place, such as a restaurant is not enough to ensure your safety, you can use your local police station as a transition place. In the event there is an issue, law enforcement is nearby to intervene. This arrangement can be awkward for children, but when there are serious safety issues you are addressing, this can be the best location. You can pick up and drop off at each party’s house, but be sure you decide who should pick up and drop off. Some people require one party to do all the transportation for visits, while others require the party taking custody to pick up the children to make the transportation of the children more equally divided.Again, this is an issue that can come up when one person refuses to cooperate in an arrangement you feel was agreed upon, and the Raleigh Custody Order or Agreement does not specifically address it and thus there is no way to finalize the issue. Deciding the right custodial schedule for your family is a difficult decision because no one wants to go without seeing their children everyday; however, this is the reality when two parents are not living in one household. It is important to take into consideration your children’s individual needs, family customs and make specific arrangements that will keep your children safe while promoting their relationship with each of you. If you need assistance from an experienced Raleigh child custody attorney for your North Carolina child custody case, we would be happy speak with you and work with you to ensure your custodial rights are protected. To learn more about visitation schedules in divorce cases and to discuss your options, call (919) 301-8843 or complete the form below, and one of our divorce attorneys will contact you shortly.